This is one of our most popular pie recipes and it’s an easy pie recipe! 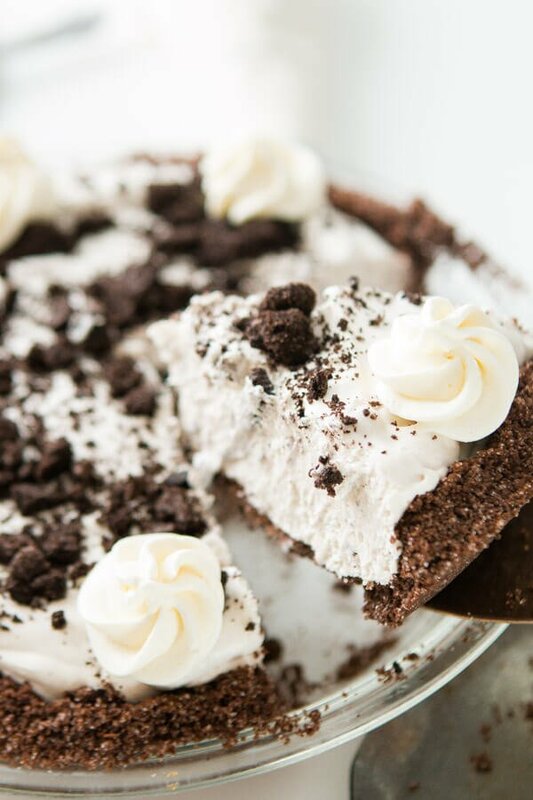 Who wants a slice of no bake oreo pie with chocolate graham cracker crust?! Does Graham Cracker Crust Need to be Baked? As far as baking a chocolate graham cracker crust before filling it with a cream filling, that is a matter of preference. Either chill the pie shell to set the crust so that it is firm or bake the crust for six to nine minutes at 375 degrees. In a chilled crust, the butter becomes hard to hold the crust. 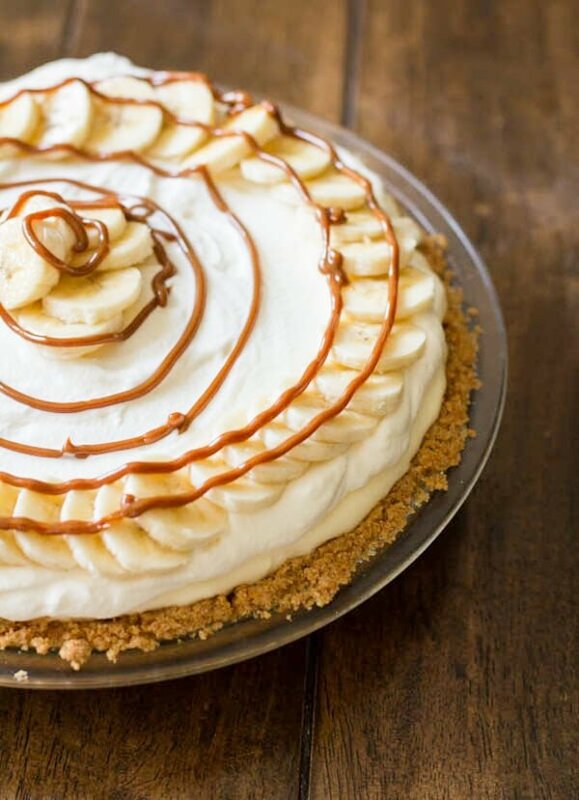 I’ve never really been that concerned with making cream pies, but then we had a dang good banana cream pie with dulce de leche and we have literally become obsessed with making new versions. Have you made that pie yet? You guys, it is probably my favorite pie ever. Well, and the Dutch Apple Pie. That’s a really good one too. 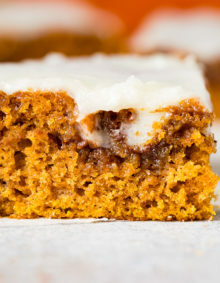 Oh, and that no bake pumpkin pie. That is such a good one!!! How Long Will an Oreo Cream Pie Last? No Bake Oreo Pie With Chocolate Graham Cracker Crust will last 2-4 days in the refrigerator. Loosely cover the pie with plastic wrap or foil and refrigerate. 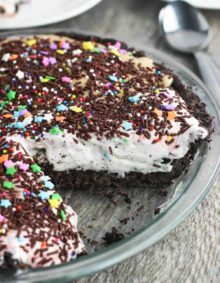 I’m going to link up to all of our no bake pies after the recipe, so just scroll on down to check them all out. The issue with a no bake oreo cream pie, in my humble opinion is that it’s too much emphasis on the cream center of the oreo instead of the chocolate cookie part. We really wanted balance so we started with the crust when we started on this no bake oreo pie with chocolate graham cracker crust. 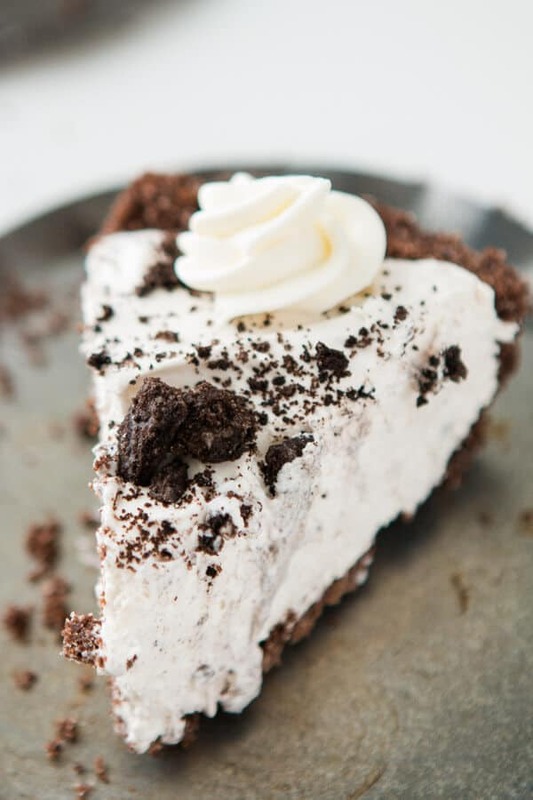 Many oreo pies are made with an actual oreo crust, but that creme center took away from the chocolate a little so we ditched that and went back to the original no bake crust, graham cracker pie crust. Only this time we bought chocolate graham crackers and this no bake oreo pie with chocolate graham cracker crust turned out AWESOME!! Looking to know how to make chocolate graham cracker crust? It’s easy! Crush chocolate graham crackers in a blender or with a rolling pin in a ziploc bag. 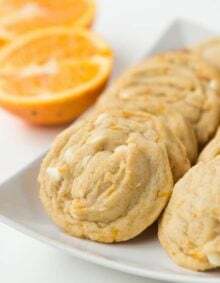 These are a little more sugary so you don’t have to add as much sugar but still add the melted butter to get everything to stick together. You can bake the crust for a little more crunch or stick it in the fridge to solidify. 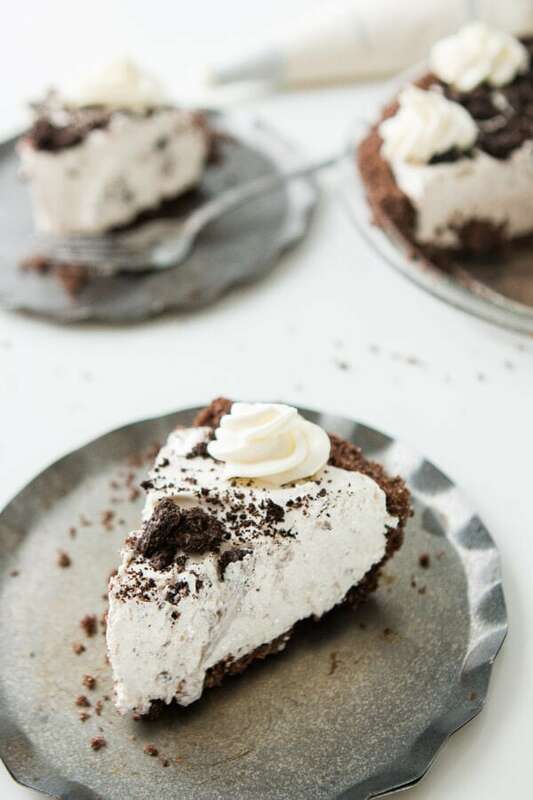 That creamy filling in this no bake oreo pie with chocolate graham cracker crust was also an issue for me, not as much Cade, but I felt like it still was so mild and plain that although it was delicious it didn’t remind me enough of an oreo. So we went back to the drawing board. First we beat the cream cheese until soft and then beat in the sweetened condensed milk. In another bowl, we added the instant oreo pudding and then in a stroke of genius, instead of added pure milk we did 1 part chocolate milk to 2 parts milk. That little bit of chocolate really helps to balance the entire pie out. 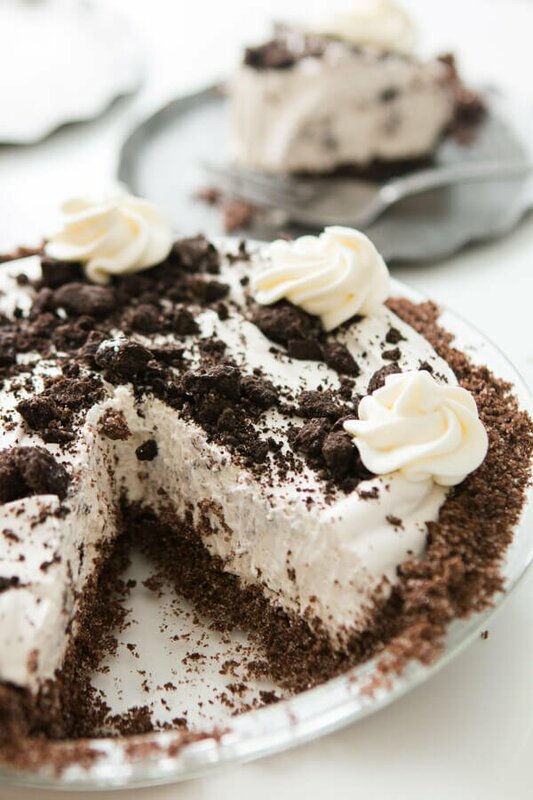 The next step to making this no bake oreo pie with chocolate graham cracker crust is to just mix the pudding and cream cheese, and fold in the whipped cream. Place the whole thing in the fridge for about an hour, or you really can serve immediately if you must though it wont be as set up as it could be. To finish it off sprinkle crushed oreos all over the top and eat up! This is one of our most popular pie recipes and it's an easy pie recipe! 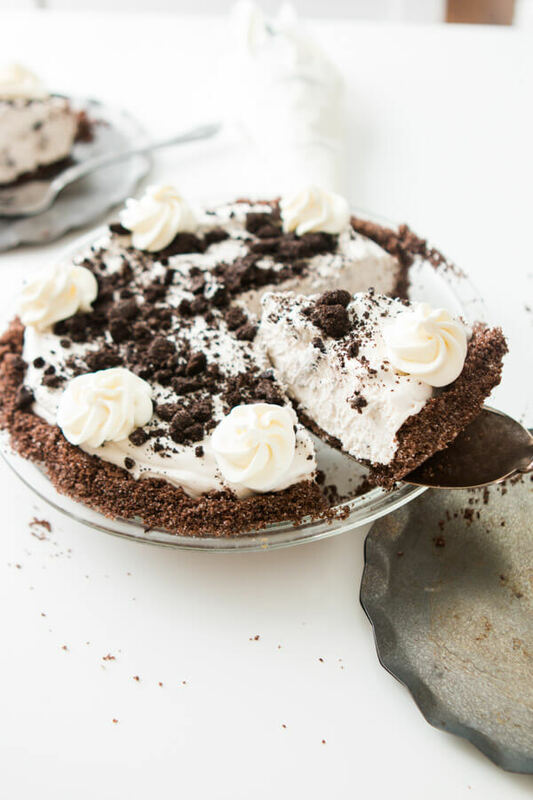 Who wants a slice of no bake oreo pie with chocolate graham cracker crust?! Preheat the oven to 375 if you choose to bake it. In a food processor, crush the crackers into crumbs. In a bowl, stir together the crumbs, butter and sugar. Press into a 9" pie dish and you can either bake for 10 minutes or place in the fridge for 30 minutes. In a large bowl, combine the pudding and milks and set aside. In another bowl, beat the cream cheese until smooth, and then add the sweetened condensed milk and beat again until smooth. Add the pudding into the cream cheese mixture and stir until evenly combined. Add ⅓ of the cool whip to the bowl, and gently fold it into everything. Add the remaining cool whip and fold until completely combined. Adding a little at a time is keeping it lighter vs just whipping it all together. Spread the filling into the crust and place in the fridge for 30-60 minutes. Top with whipped cream and crushed oreos as a garnish. There’s nothing better than a fat slice of pumpkin pie during the holidays, but if you’re like me you don’t always have time to make a pumpkin pie from scratch so this nor bake pumpkin pie is the next best thing. 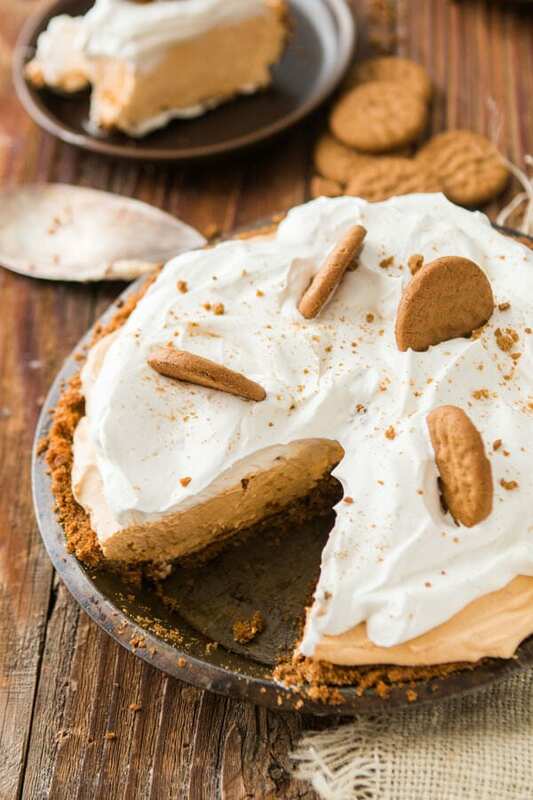 I thought every banana cream pie should have a graham cracker crust but when we realized we were all out we decided to try Nilla wafers and the result was fantastic! 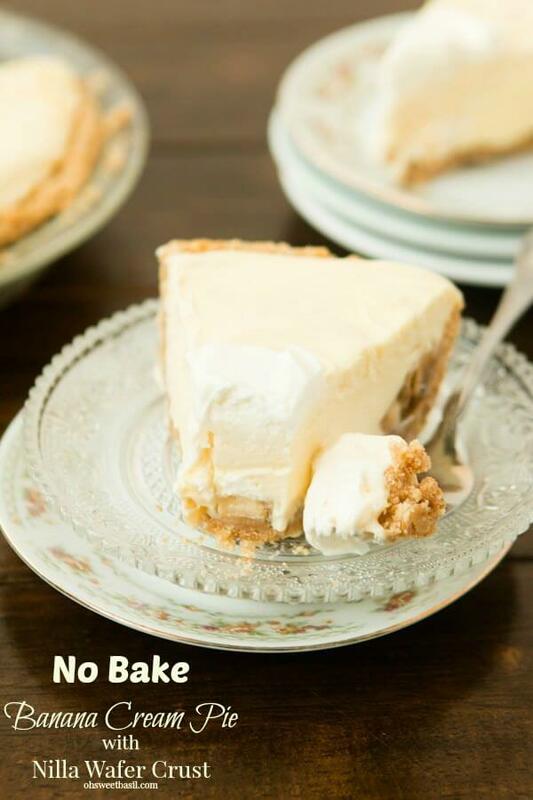 This is our first no bake pie and it is Cade’s achilles heel because the guy cannot resist it at all. Creamy filling, fresh, ripe bananas and sticky dulce de leche caramel. Every spring I like to make this pie for our family. 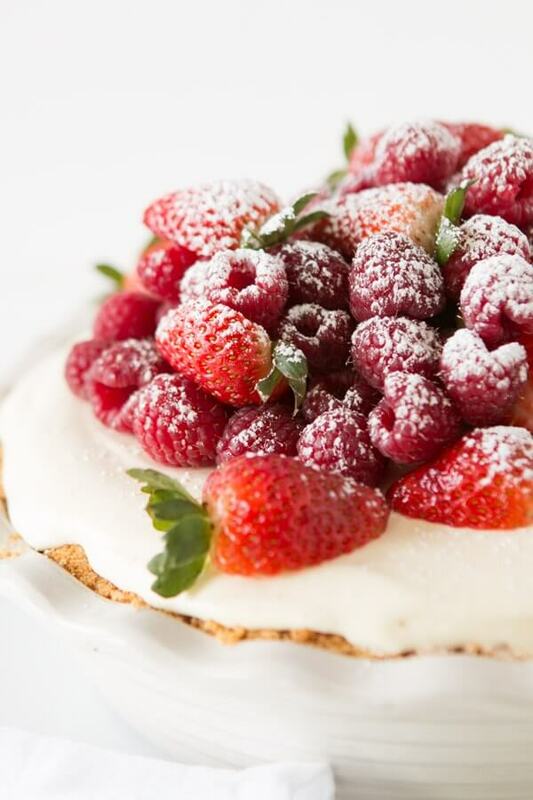 It’s the perfect back drop for those big, juicy berries and it looks as lovely as it tastes. 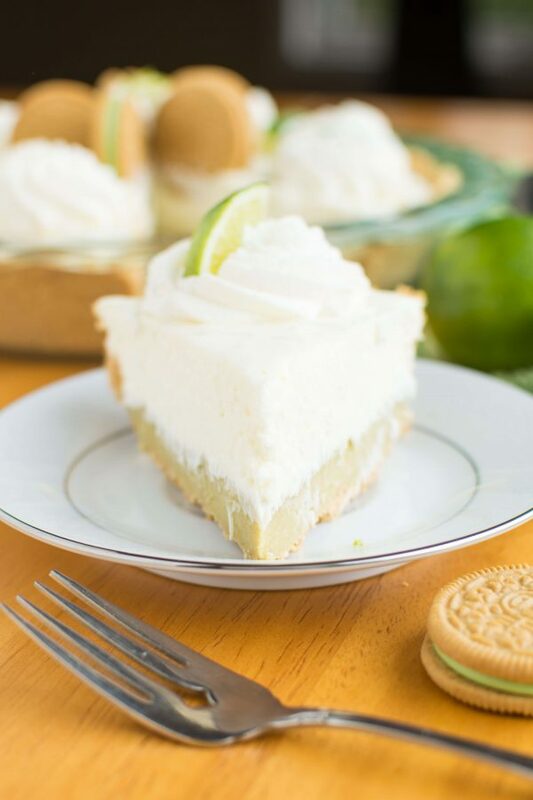 Creamy key lime pie is all kinds of awesome but throw oreos into the mix and you’re sure to have everyone begging for the recipe. Hi! This sounded delicious so I gave it a go, but it’s been about two hours and it’s still not set. I followed the instructions to a “T.” Any ideas why it didn’t set? Are you sure you bought instant pudding and not cook and serve? 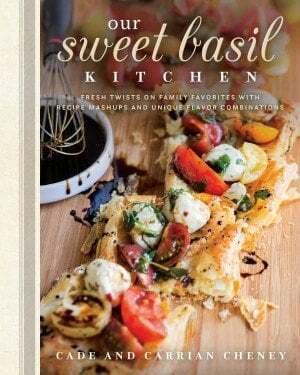 hey y’all – This looks so good!